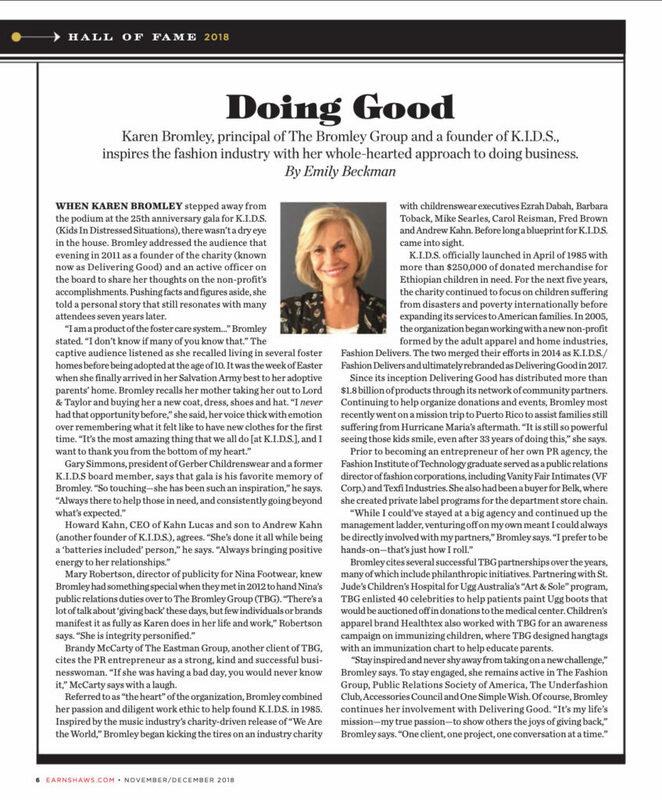 Our own Karen Bromley was honored in the latest issue of legendary children’s trade magazine Earnshaw’s by being named their 2018 Hall of Fame Inductee for her founding of K.I.D.S., now known as Delivering Good. As you can see when read the full article, Karen’s charity isn’t confined to one organization. 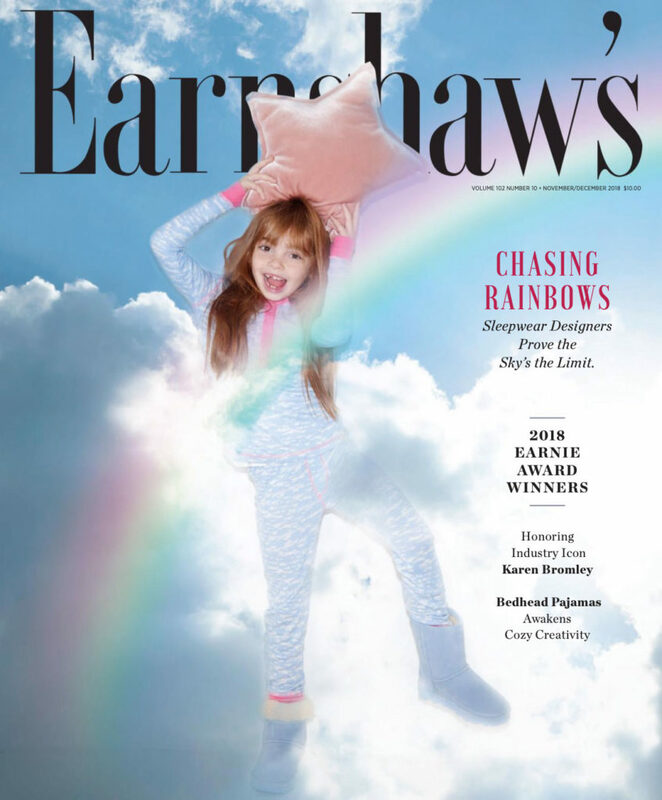 While her first love is Delivering Good, the charity she founded some 30+ years ago, her commitment to helping those most in need was actually born much earlier in her life & has never faltered… if anything, it’s grown. We’re so proud of you Karen & may this be the first of many such recognitions!